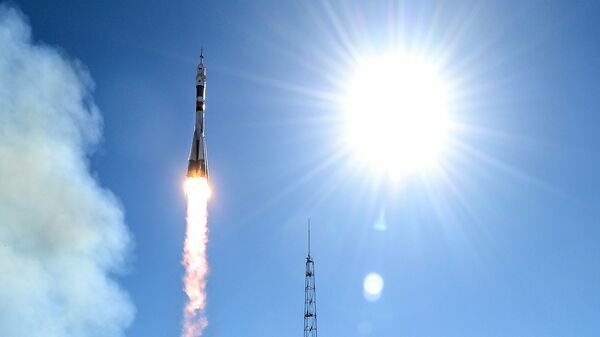 MOSCOW, March 25 – The cost of upgrading the Soyuz for flights to the Moon is not at all out of reach, and tentatively estimated at just $400 million, said Roscosmos CEO Dmitry Rogozin. He clarified that this amount also includes the creation of the ship and the organization of the mission itself. One proposal is to encourage very wealthy would-be tourists to take a round-trip around the moon, and back to earth. According to the general director of the corporation, the seat for tourists who want to fly around the moon on the Soyuz will cost more than when flying to the ISS. Thus, the project will pay off very quickly, he said. As the ex-head of RSC Energia, Vladimir Solntsev, reported in 2017, several people have already appealed to the corporation to fly around the moon: they are ready to pay $120 million for a ticket. This means that at least two-thirds of the required budget for the moon orbiting mission is already guaranteed by non-governmental sources. The total cost to Russian tax payers for a moon orbital mission will be next to zero. The upgrades developed for the Soyuz rocket trips around the moon, will then be used within a decade for a manned mission to the moon, explains Rogozin. Rogozin also explained how such a flight would take place. 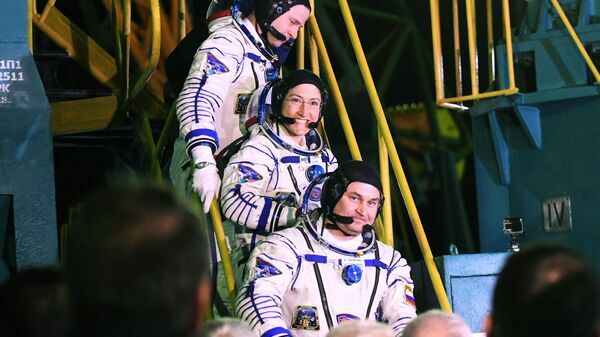 At the first launch, the tourists will go to the Soyuz to the ISS, where they will expect the arrival of accelerating units launched on the Angara rocket. They will deliver the “Soyuz” to the moon, and then return back to Earth. In January, a source in the rocket and space industry said that Russia would be developing a version of the Soyuz spacecraft for flights to the Moon without US financial participation. For the “lunar” modification of the “Soyuz” rocket, it is necessary to create an accelerating unit that will send the ship to the Earth satellite, a new thermal protection that allows the ship to return to Earth’s descent at the second space velocity (11.2 kilometers per second). New power, communications and life support systems will also be required. Russian experts in the space industry are unclear as to how these communication and life support systems were developed more than fifty years ago in the U.S, especially so since NASA today claims to no longer be in possession of these plans. In addition, as stated in the documents of RSC Energia, which are at the disposal of RIA Novosti, it is necessary to install star sensors, manual control devices, an evaporative system, additional engines and oxygen cylinders. The reliability of the Soyuz was once again confirmed recently in fact.The Soyuz MS-12 spacecraft delivered a Russian-American crew to the ISS. The head of the Space Policy Institute, Ivan Moiseyev, spoke about the prospects of foreign astronaut flights on Russian ships on the air of Sputnik. There is a possibility of manned flights to the moon on the Soyuz powered ships, while the development of the new Federation ship is being completed, Rogozin announced on June 28 last year. Creation of a new ship specifically for flights to the Moon has been underway since 2009. Later, the head of Roskosmos said that RSC Energia could create a Federation and at the same time modernize Soyuz for flights to the moon.